Therapeutic grade essential oils are extremely concentrated particularly when they have been derived through distillation, which is the most effective method of extraction. 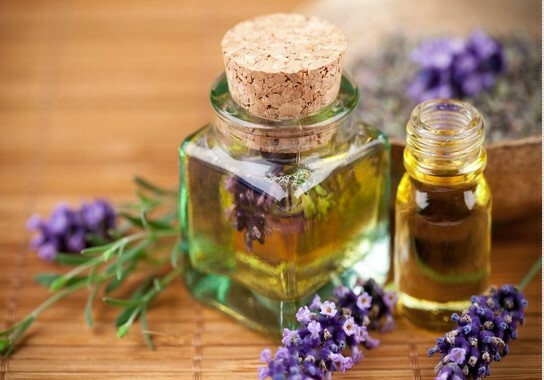 Because essential oils are so highly concentrated, most of them are at least 50 times more therapeutically potent than the herbs or plants they came from. When herbs are cut & dehydrated for therapeutic use, they can lose as much as 90% of the healing nutrients as well as the vast majority of the vital oxygen molecules. Not so with essential oils, which are many times more potent than dried herbs. Most of the essential oils you find in health food stores are so low in quality and full of adulterations, you would be shocked. Even essential oils labeled as “PURE” are not what they seem. There is a very big difference between the low quality essential oils and true therapeutic grade essential oils. Young Living Essential Oils set the standard for purity and quality in the U.S. Every batch of oils is rigorously tested by independent laboratories before being sold to customers. You are protected by Young Living’s unconditional guarantee of purity and quality. To be able to certify completely the high grade of his oils, Gary Young has taken the ultimate step: he has developed his own farms and his own distillation techniques to guarantee the top quality he seeks. He has become a true pioneer in developing these operations in the United States. I wish everyone could see firsthand the Young Living Aromatic Farms.
. . . then please consider True Therapeutic Grade Essential Oils! If you’re not including essential oils in your health regimen, you are missing one of Nature’s most powerful, means to enhance your health and the sheer enjoyment of being alive. It really is possible to take charge of your health . . . to feel more energized and healthy . . . to reduce medical bills for your family . . . All Without drugs. 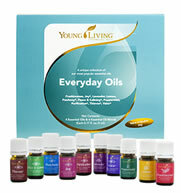 Ensure you’ll always have the benefits of Young Living’s therapeutic-grade essential oils on hand with Everyday Oils Kit. The oils in this select collection will provide ongoing support for your home, health, and body. Enjoy the relaxing benefits of lavender and Peace & Calming, the cleansing power of Thieves and Purification, the comforting touch of Valor and PanAway. Interested in saving 24% off of retail? Order Start Living with Everyday Oils or one of the other Distributor Kits and qualify for wholesale prices! The best way to get started is to . . .Enroll as Distributor with the one of the Starter Kits and get Young Living products wholesale. Enroll as Distributor NOW, while you’re thinking about it! Starting a new corporation is, in itself a monumental task in today’s competitive business environment. Corporate credit is essential for a new company to grow. Unless, the owner of the company is a billionaire, it is difficult to sustain a company without corporate credit. Many lenders are selective when it comes to working with certain corporations. When you start out in the business world, you are not going to have much luck with obtaining good corporate credit. This article highlights some of the most important things to consider when building corporate credit. Small businesses that are profitable and trustworthy can easily avail themselves for corporate credit. You should give the bank a good reason why they should offer you corporate credit. If your business has just started out, you will find it difficult to prove anything to the bank. The bank will be reluctant to give you corporate credit since they don’t know whether you will be able to make your business work in the long run. Once you have operated the business for a few years and built up your trustworthiness, the bank will consider releasing a line of corporate credit for your business. A bank is not going to lend you money if you are not a well established business. Hence, you should have persistence when you plan to obtain corporate credit for your business. When you are certain of your ability to obtain a line of credit for your business, you can go out there and start negotiating with a few reputable banks and lenders. Don’t expect the first lender to approve your line of credit. Don’t be discouraged just because you are turned down by a couple of banks or lenders. You can always find a suitable bank to obtain the corporate credit facility to your business. Persistence is the name of the game. Keep on persisting until your request for a corporate credit line is heeded by a bank or lender. Never waste the corporate credit once you are able to obtain it. Put it to the best use planning for future expansions in your business. Don’t spend it on something that will not help build your income. You run the risk of losing your credibility with the lender if you don’t use the corporate credit line properly. Managing the credit line is essential to make the best use of it. Obtaining the services of a professional financial advisor can help your business immensely in this regard. Even though you may have to allocate some funds for this purpose, it is well worth the effort in the long run. A professional financial advisor will help your company to invest the corporate credit effectively in receiving the best benefits in the long run. In conclusion, corporate credit is not easily accessible to start up businesses. A start up company should build reputation and credibility before they can avail themselves for corporate credit. Corporate credit should be used carefully in order to gain the best benefits in the long run.